« Has HAMP Gotten Any Better at Helping Distressed Homeowners? 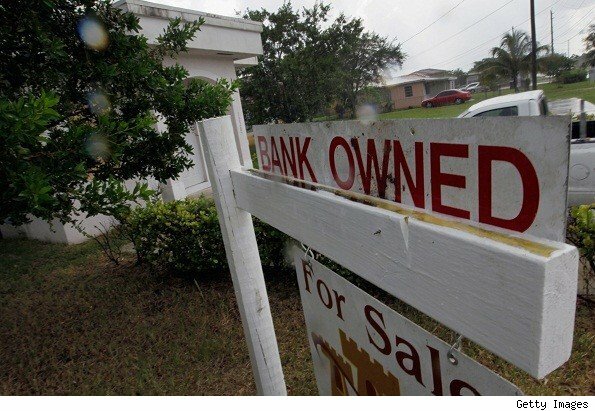 “Why won’t the bank just reduce the amount of my loan instead of taking my home and then selling it to someone else for way less than I would have been happy to pay?” It’s a question that gets asked repeatedly these days, especially by people who are facing foreclosure or are upside down on their mortgages. 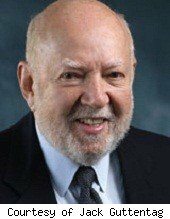 For the answer, we turned to Jack Guttentag, the Mortgage Professor and Inman columnist. Guttentag believes that lenders have been too stingy when it comes to reducing loan balances. Private lenders have offered loan reductions only sparingly, he says, and Fannie Mae and Freddie Mac not at all. Here’s the professor’s take on why homeowners can’t catch a break on loan reductions. 1. The buck stops there. The decisions to reduce principal loan amounts are made by the firms that service mortgages — the same folks who brought the country the robo-signing scandal. As servicing firms, anything they decide must be in the financial interest of their client — that’s your lender, not you. If they depart from customary practice — and writing down loan balances is a departure from customary practice — the buck stops with them, Guttentag says. In other words, who’s going to take the risk of reducing Joe Homeowner’s loan amount and then have to explain it to the boss? To take Nancy Reagan out of context: They just say no. 2. Banks are in the business of making money. No lender is going to write down the balance of a loan in default just because you owe more than the home is worth. Truth is, there is no benefit to the lender to helping Joe Homeowner keep his house instead of selling it to the next guy. Plus, to help Joe would eliminate the possibility that the bank could also get a deficiency judgment against him. Banks are in this for the squeeze and think of Joe as just the orange. Nothing personal, of course. 3. In this economy, you will likely default anyway. Sure, you want to believe that the economy is going to turn around and the value of your home will again rise to what you paid for it. After all, hasn’t listening to a fairy tale been a surefire way to fall asleep? From the lender’s standpoint, the only reason to write down a loan balance is that it will reduce the chance that you will default. And evidence has shown that people who are heavily underwater — that’s deep in negative equity territory — are more likely to default than those who aren’t. Truth is, negative equity discourages people from making their mortgage payments. They figure: Why keep throwing good money after bad? 4. Banks are short-staffed and the staff they do have is untrained. Most interactions between mortgage borrowers and servicers are handled by computers or relatively unskilled employees, says Guttentag. Borrowers in serious trouble are referred to a smaller number of more skilled and specialized employees, but until you enter the red zone, you are likely to encounter frustration. Guttentag says that at the onset of the mortgage crisis, servicers were caught short-handed and the sheer volume of foreclosures in the pipeline hasn’t allowed them to catch their breath. 5. Mortgage insurance works against you. When mortgages carrying mortgage insurance go to foreclosure, banks are protected up to the maximum coverage of the policy, which generally is enough to cover all or most of the loss. This discourages modifications, says Guttentag. Why would a bank do a modification for $15,000 if the $40,000 foreclosure cost is going to be paid by the mortgage insurer? Even if the insurance coverage falls short of the foreclosure cost, the shortfall has to exceed the modification cost before modification becomes financially more attractive. So there you have it. A five-point plan for keeping homeowners on the hook for that hefty loan balance.